SUPPLIED The Grabber is a spying gadget which can bug up to 10 000 cellphone lines live and locate any person. The powerful tool can also jam networks, download and intercept SMSes, send SMSes to any number, and detect other surveillance devices and block them. Johannesburg – One of the three men nabbed by police after being found in possession of a device used to intercept cellphone conversations has made a brief appearance in the Pretoria Magistrate’s Court. Willem Mathews Lotters, 63, was released on R10 000 bail. Hawks spokesman Hangwani Mulaudzi said the other men were released due to insufficient evidence. The case was postponed to August 18. The three South Africans were arrested in a police sting for illegally being in possession of a cellphone-tapping, -tracking and -locater machine, known as “The Grabber”, worth more than R25 million. Mulaudzi said more arrests were imminent. He said the suspects had agreed to sell the Israeli-manufactured machine, which was fitted to a vehicle, to an undercover policeman in Kempton Park on Thursday but then decided that the R20m transfer should take place at a mall on Friday. At 10am, undercover cops lured the trio to Irene Mall in Tshwane where they were arrested. “A suspect was arrested while entering the bank while the other was arrested inside the car that was fitted with the jammer,” Mulaudzi said. The Grabber can be used to intercept highly confidential national security information and sell it or exchange it with political enemies. Police sources said evidence showed the machine, which could bug at least 10 000 lines at a time, had been used to advantage certain parties in commercial transactions. In one case, The Grabber had allegedly been used to bug and track members of the bid adjudication committee of the Airports Company South Africa, which decides on contracts worth hundreds of millions. The men are believed to have used the information to influence and blackmail people who were involved in the tender. Sources said the arrest of the men followed concerns that the equipment would be used to help the syndicate win billions in government tenders and compromise national security. The acquisition of the machine is highly regulated, internationally and in South Africa. In this country, it belongs to a category of special equipment used in the interest of national security and can be bought only with special presidential authority. 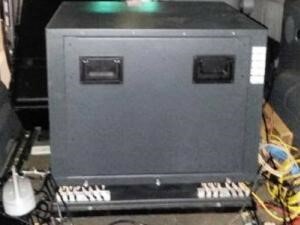 The bugging, tracking and locater machine, specially installed in a German-made multipurpose vehicle, was impounded. The Star understands that the equipment was bought using a fraudulently acquired letter of authority from the South African government and was paid for by money from a private trust owned by a local businessman but managed by an attorney in the Free State. Information at The Star’s disposal indicates that the machine was first installed in a specially bought BMW X5 and was then removed and installed in a Mercedes Benz Viano because that vehicle was bigger than the BMW X5. Lotters is expected to face a raft of charges that relate to crimes against the state and charges of illegally bringing the machine into the country in violation of the Rica Act. Crimes committed in violation of this law carry a minimum sentence of 10 years and a fine of R2m.